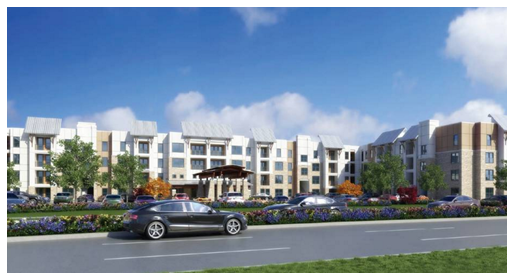 ALLEN - Construction is underway on the new 243-unit apartment property named Alders at Twin Creeks, aimed at baby boomers with a minimum age of 55, located in the “jewel” of the Dallas metro. Homes range in size from 730 sf for a one-bedroom to 1,280 sf for two-bedroom, two-bath units. The eight-acre Alders at Twin Creeks rental community will have an 18,000-sf recreational area with a pool, cabanas, and a commercial outdoor grill kitchen.